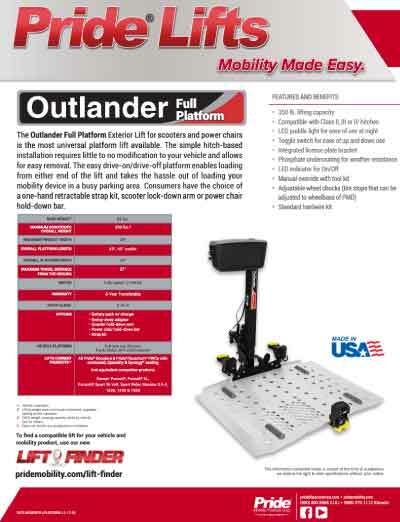 The Outlander Full Platform Exterior Lift for scooters and power chairs is the most universal platform lift available. The simple hitch-based installation requires little to no modification to your vehicle and allows for easy removal. 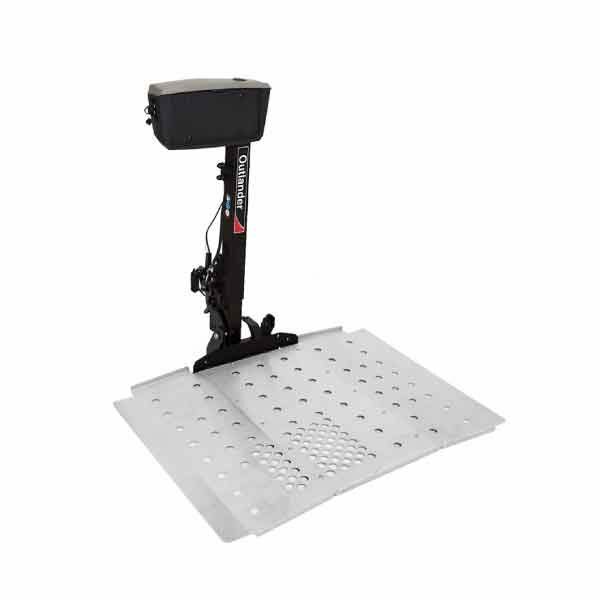 The easy drive-on/drive-off platform enables loading from either end of the lift and takes the hassle out of loading your mobility device in a busy parking area. 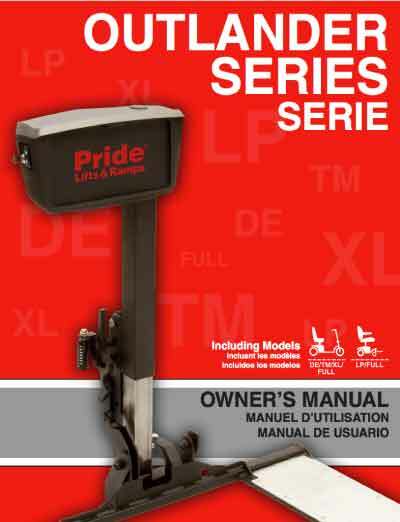 Consumers have the choice of a one-hand retractable strap kit, scooter lock-down arm or power chair hold-down bar.